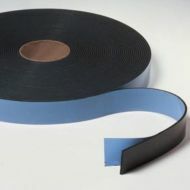 The Saint-Gobain Performance Plastics range of bonding tapes provide an excellent method to mount, attach, fasten and seal two materials together. The foam substrate conforms and “gives” to ensure full adhesive over the tape area. Saint-Gobain Corporation is a Paris-based multinational corporation with more than 350 years of engineered materials expertise. Saint-Gobain transforms raw materials into advanced products for use in our daily lives, as well as developing tomorrow's new materials. Every day, Saint-Gobain products provide customers with the highest level of performance which is the result of creative ideas and innovative technologies.